Traveling to another country is an exciting activity wherein we learn and experience new cultures, meet people, and of course, beef up our IG feed. But truth be told, one of the pains of traveling is packing. We're constantly looking for packing tips to be able to travel more efficiently and relying on smart styling techniques to look put together while exploring places for the first time. With these woes in mind, we look to jetsetters for guidance. But look no further because Martine Cajucom-Ho has easy-to-follow tips. 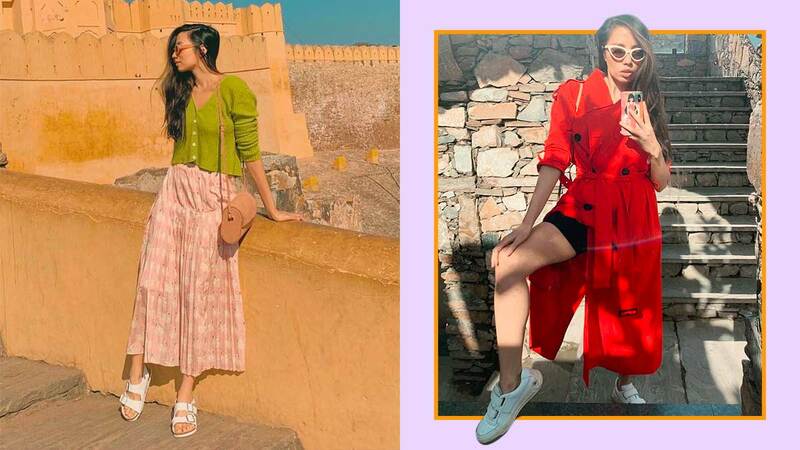 Fresh from her nine-day honeymoon with hubby Cliff Ho, Martine shows us the seasoned traveler that she is by curating a capsule wardrobe for her trip to India. "I always pack light because I know I will end up shopping anyway," Martine tells Preview. She only packed "two trenches, one sweater, one long skirt, one pair of linen pants, one pair of bike shorts, a pair of sandals and, a pair of sneakers." Below, we got a chance to catch up with Martine who generously shared some of her packing tips. "I chose pieces that all could live together. Every piece could literally be matched with each other and transiton easily from day to night, casual to formal." 2. Mind where you're going. "I considered the palette that would be most complimentary to my setting—the cool weather, so layers were a must." For this, Martine packed a salmon houndstooth blazer and red trench from Zalora's The___edit collection that are both versatile enough to be spruced up for dinner dates or worn to a more casual setting like day tours. "Absolutely nothing that needed steaming or ironing, so pieces that you could throw in your bag and wear." Pleated skirts are an example of clothes that need no ironing. Just take a look at Martine's adorable flamingo-printed Stella McCartney midi skirt! 4. Bring accessories you can keep wearing. "A comfy shoe and practical beater bag are a must." In Martine's case, it's a Mango crossbody bag (P2295) and a pair of Mansur Gavriel heeled mules (P28,700). "Everything is about the edit. Every piece should be multi-purposeful."